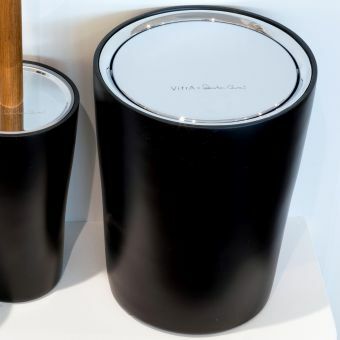 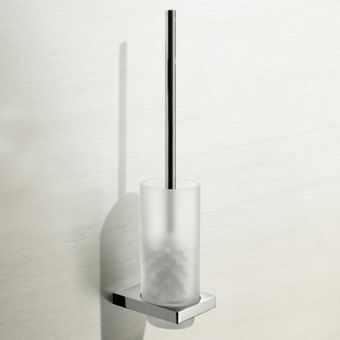 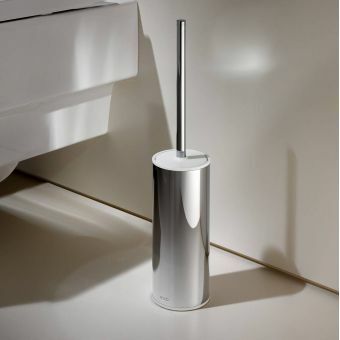 This award-winning range of bathroom accessories came about from a fantastic product design collaboration - manufactured by market leaders VitrA Eternity was developed and designed by London based British Designer: Sebastian Conran. 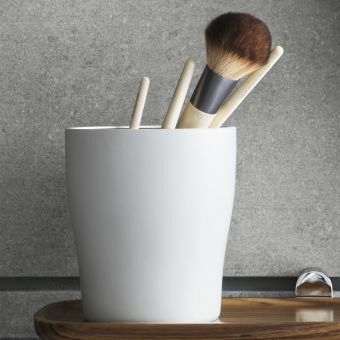 This stylish premium-quality range combines a black or white polyresin holder body, which gives a smooth ceramic-like surface but a robust and tough lasting build-quality that will stand up to family life. 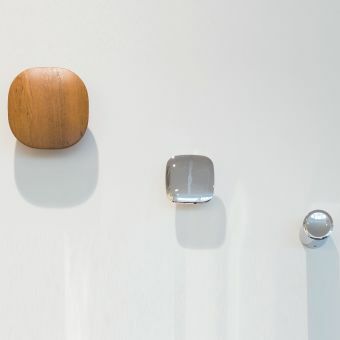 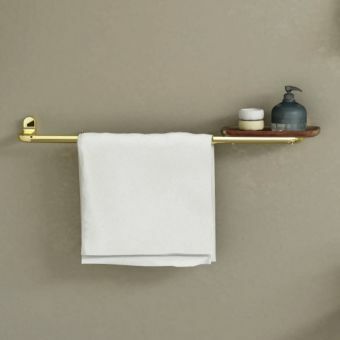 The handle is a lovely smooth, polished, waterproof teak wood, and all metallic elements are plated brass for longevity. 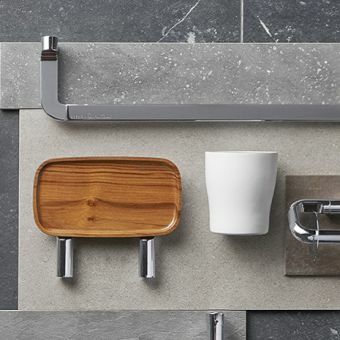 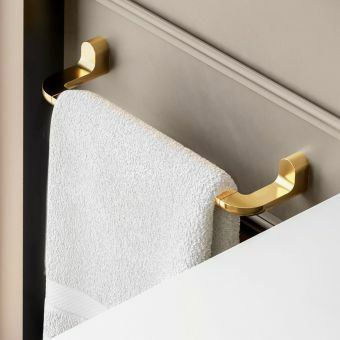 This combination of high-quality tactile materials makes for a really wonderful set of products that elevate the bathroom space and make it part of your home rather than just a functional washroom. 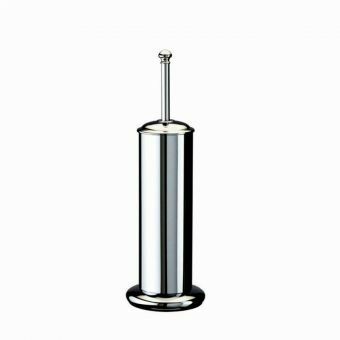 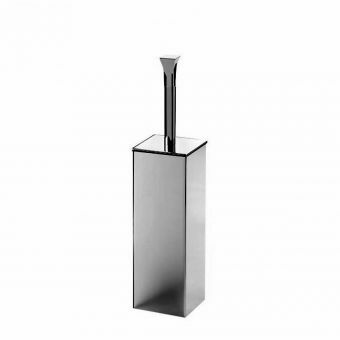 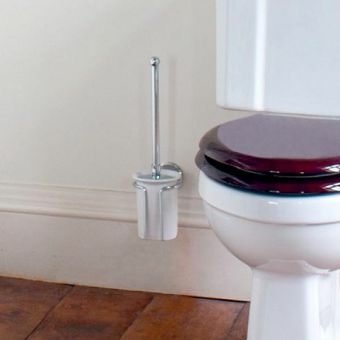 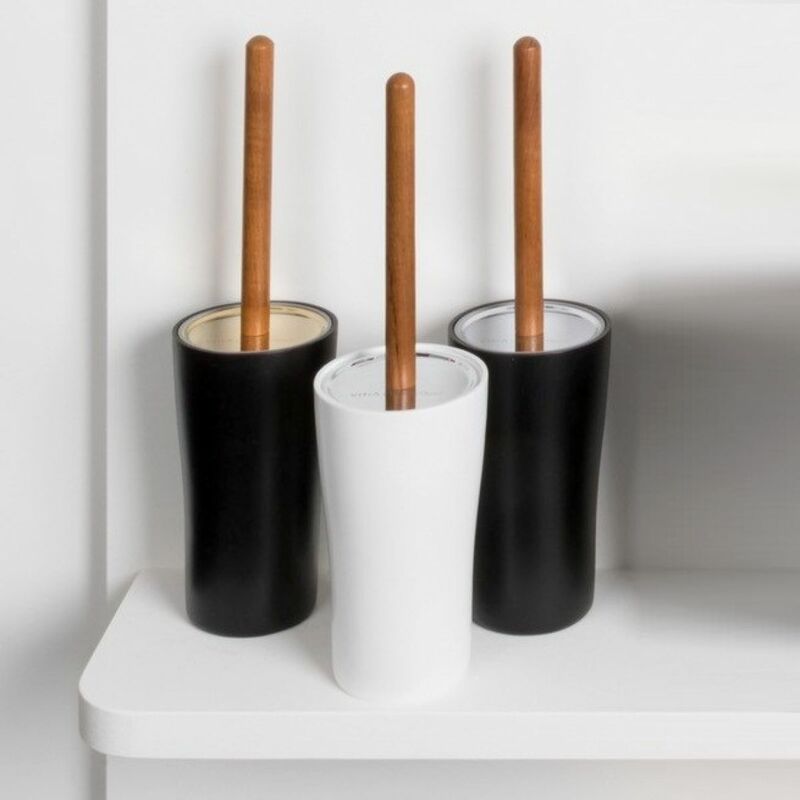 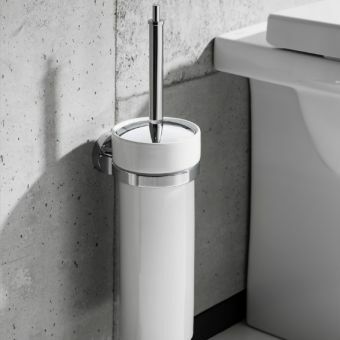 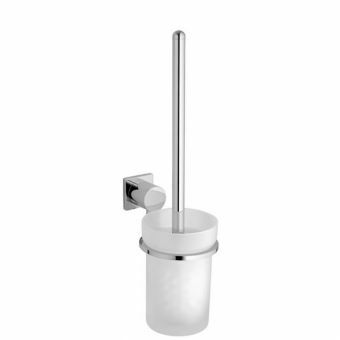 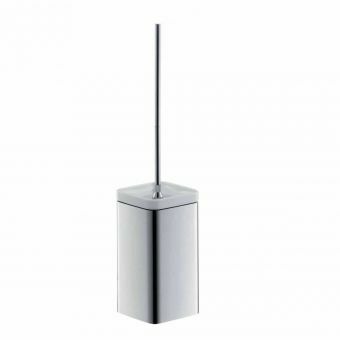 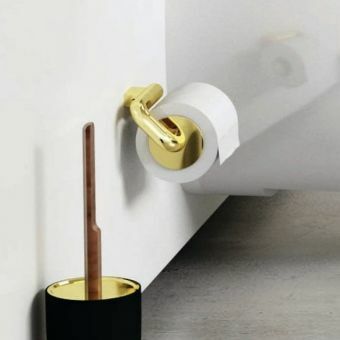 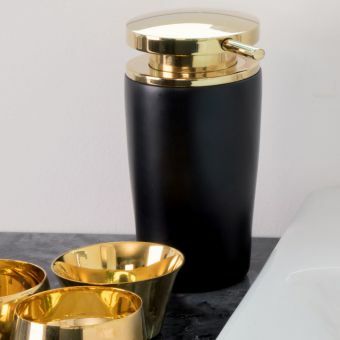 The toilet brush holder is floor standing, the brass cover cap keeps the brush concealed and hidden away, but within easy reach to quickly clean your WC.